The Cambridge Graphene Centre and Plastic Logic have demonstrated the first time graphene has been used in a transistor-based flexible device; scientists at Stanford and SLAC have married two unconventional forms of carbon to make a molecule that conducts electricity in only one direction. A flexible display incorporating graphene in its pixels’ electronics has been successfully demonstrated by the Cambridge Graphene Centre and Plastic Logic, the first time graphene has been used in a transistor-based flexible device. The prototype is meant to be a first step towards the wider implementation of graphene and graphene-like materials into flexible electronics, and is an active matrix electrophoretic display, similar to the screens used in today’s e-readers, except it is made of flexible plastic instead of glass. In contrast to conventional displays, the pixel electronics, or backplane, of this display includes a solution-processed graphene electrode, which replaces the sputtered metal electrode layer within Plastic Logic’s conventional devices, bringing product and process benefits, the researchers pointed out. In order to make a molecule that conducts electricity in only one direction, scientists at Stanford and SLAC have married two unconventional forms of carbon – one shaped like a soccer ball, the other a tiny diamond. This rectifier could play a key role in shrinking chip components down to the size of molecules to enable faster, more powerful devices. The researchers said they wanted to see what new, emergent properties might come out when these two ingredients were put together: they created a ‘buckydiamondoid,’ which is basically a one-way valve for conducting electricity – clearly more than the sum of its parts. 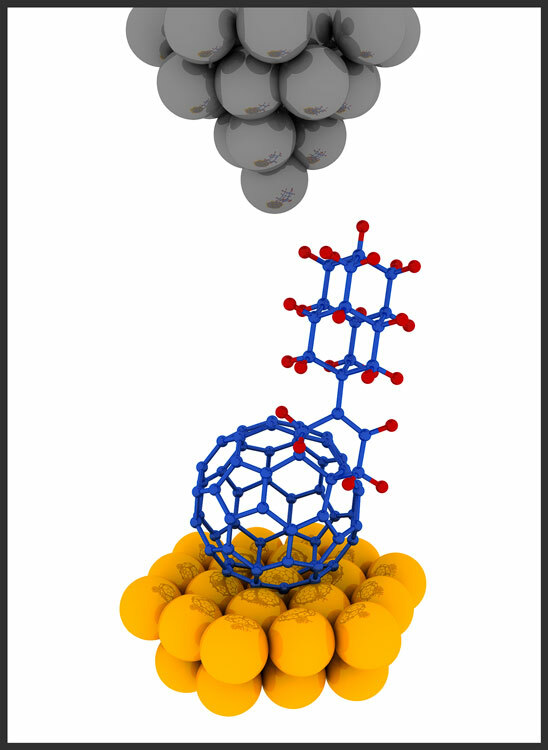 Buckyballs – short for buckminsterfullerenes – are hollow carbon spheres whose 1985 discovery earned three scientists a Nobel Prize in chemistry. Diamondoids are tiny linked cages of carbon joined, or bonded, as they are in diamonds, with hydrogen atoms linked to the surface, but weighing less than a billionth of a billionth of a carat. Both are subjects of a lot of research aimed at understanding their properties and finding ways to use them.